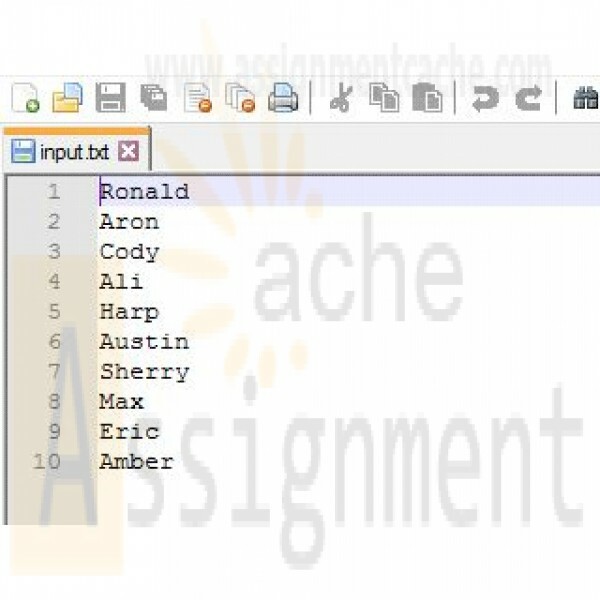 For this assignment, you will develop "starter" code. 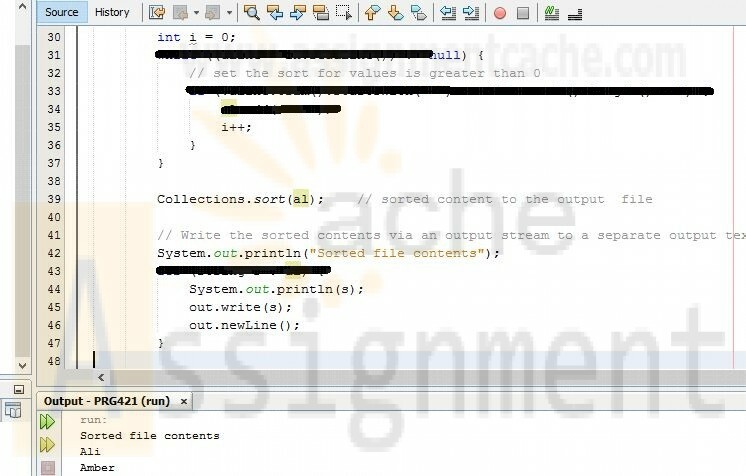 After you finish, your code should access an existing text file that you have created, create an input stream, read the contents of the text file, sort and store the contents of the text file into an ArrayList, then write the sorted contents via an output stream to a separate output text file. 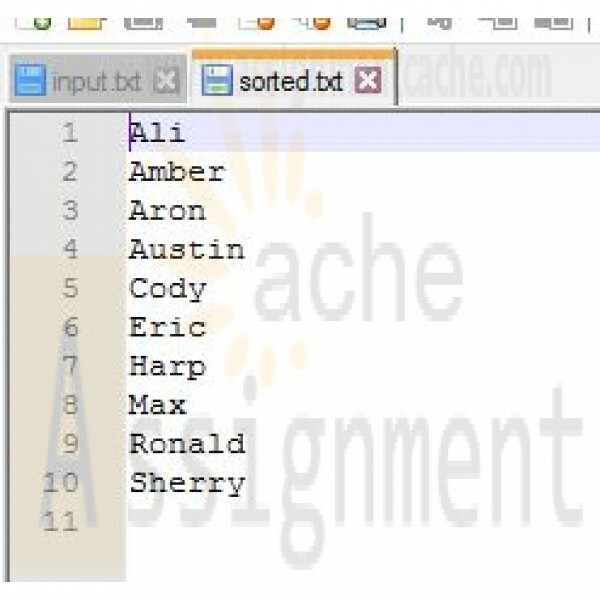 Add code as indicated in the comments. Note: Refer to this week's Individual assignment, "Week Three Analyze Assignment," and to Ch. 8, "IO," in OCP: Oracle® Certified Professional Java® SE 8 Programmer II Study Guide. 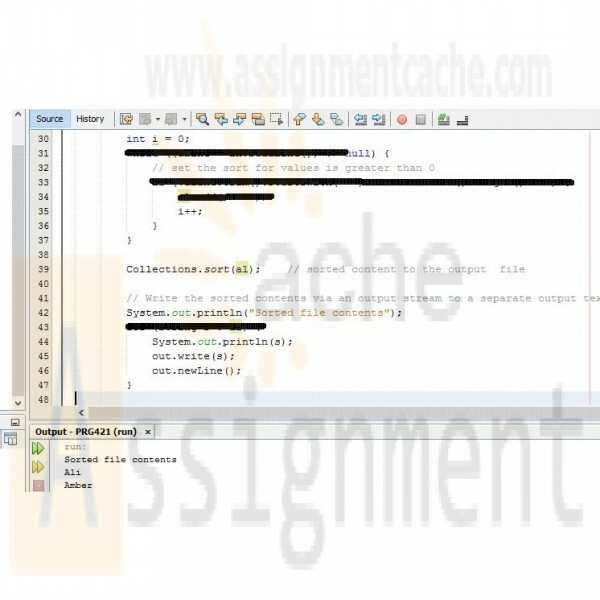 Run and debug your modified program in NetBeans until it satisfies the requirements described above. Save your finalized JAVA file with a .txt extension.